(March 21): The S&P 500 fell on Monday as investors worried that President Donald Trump's plan to cut taxes and boost the economy could take longer than previously expected. The S&P 500 fell and the Dow traded about flat after FBI Director James Comey told a congressional hearing he had seen no evidence to support a claim by Trump that former president Barack Obama had wiretapped his campaign headquarters in Trump Tower in New York. That attention has distracted from efforts by Republicans to push through a healthcare overhaul. "It's just one more day delaying talking about policy," said Ian Winer, director of trading at Wedbush Securities in Los Angeles. "The market wants tax reform, and you need to get healthcare done before you get tax reform." At 2:34 p.m. 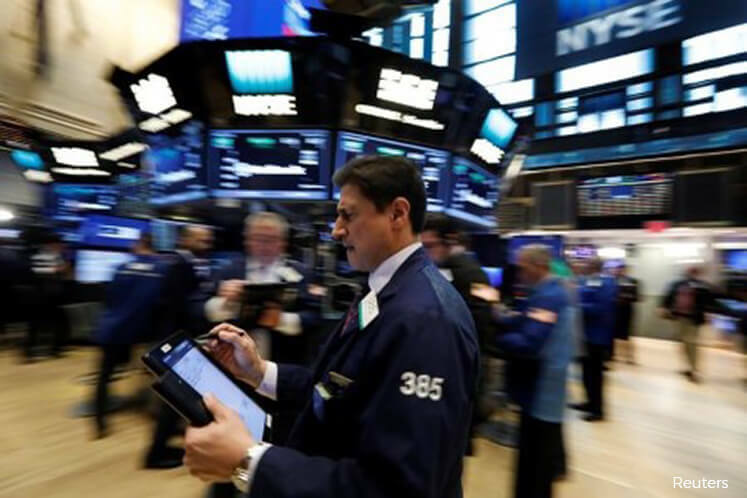 ET, the Dow Jones Industrial Average was up 0.03 percent at 20,921.03 points, while the S&P 500 had lost 0.17 percent to 2,374.12. The Nasdaq Composite dropped 0.05 percent to 5,897.92 after briefly hitting an intraday record high. Eight of the 11 major S&P sectors were lower, with the utilities index's 0.79 percent fall leading the decliners. Oil fell as investors continued to unwind bets on higher prices. The U.S. Federal Reserve's conservative rate guidance is also keeping the market in check. A host of Fed officials are scheduled to speak this week, including Chair Janet Yellen on Thursday. Apple rose nearly 1 percent, hitting a new record-high of $141.34 after Cowen & Co upgraded its price target on the stock. Caterpillar rose 2.4 percent, providing the biggest boost to the Dow, after it reported a smaller decline in sales for 3 months through February versus period ending in January. Walt Disney rose 0.94 percent after the company's "Beauty and the Beast" topped box-office sales. The stock was among the biggest boosts on the Dow. Declining issues outnumbered advancing ones on the NYSE by a 1.52-to-1 ratio; on Nasdaq, a 1.57-to-1 ratio favored decliners.